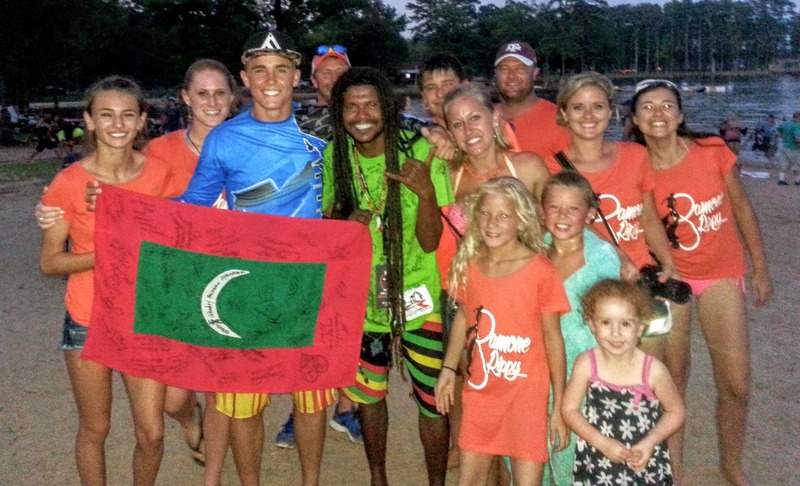 Ibrahim Hussein (Ibbadey), owner of Liquid Watersports is the face of flyboarding in Maldives and is inspiring young locals to get into watersports and extreme sports. 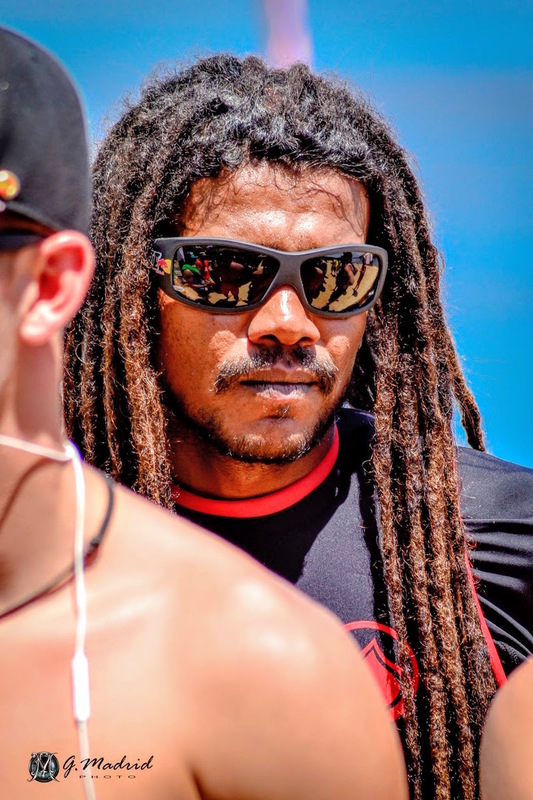 Ibaddey-a true sports enthusiast-began his career as a professional footballer and went on to become a divemaster. After working as a divemaster for 7 years, he set up his own water sports center in K. Villingili and began flyboarding. Lack of facilities for extreme sports has not stopped him from chasing his dreams. 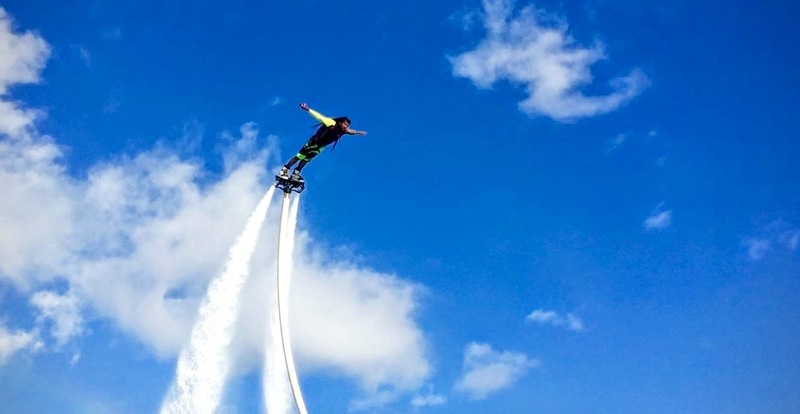 Over the last two years he has showcased his impressive flyboarding skills and become a local icon. 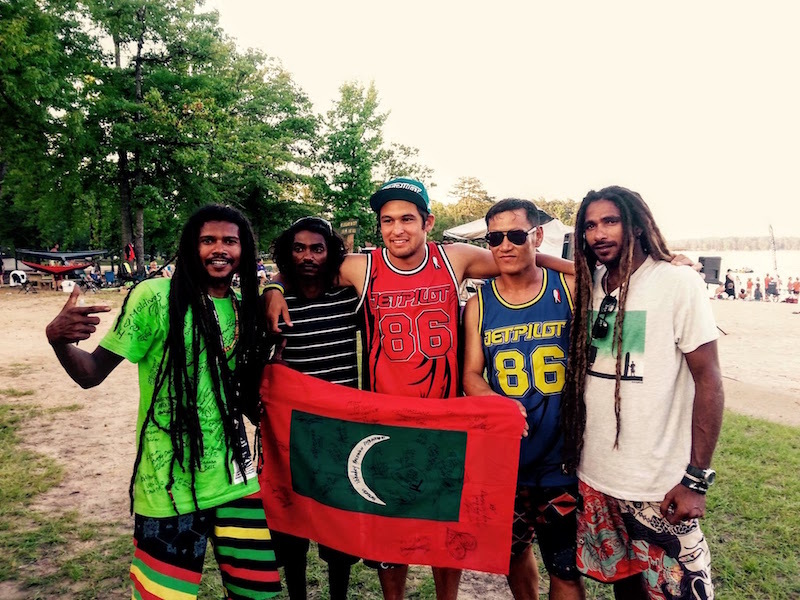 He is now set to become the first Maldivian to compete in the X Dubai Flyboard World Cup. 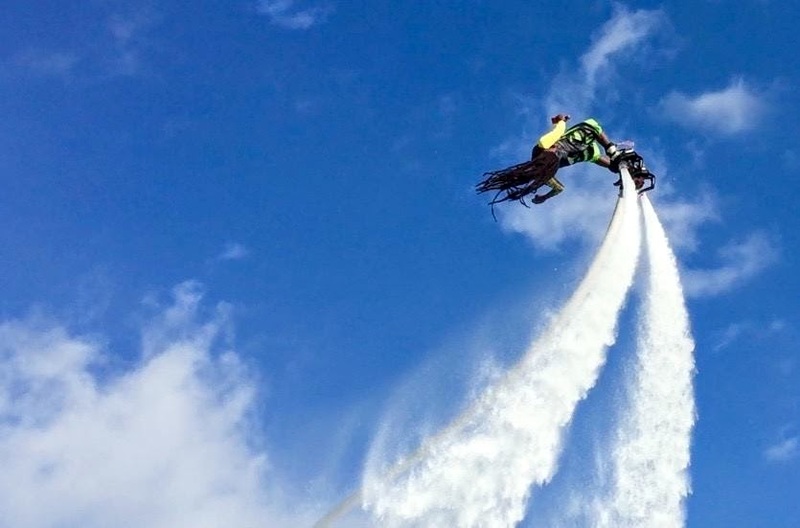 The superhero talks to Maldives.com about the thrills of flyboarding and his love for the sport. How did you get into flyboarding? I came across a video on YouTube and got hooked immediately. I started looking for a way to get a board when a Japanese group brought it to Maldives. I never saw them after that. Then I stumbled upon a board which was for sale, bought it and started flying. When I first bought a flyboard, there was no one to teach me. So I learned to fly on my own. Things like backflips came to me quite naturally because I have always been into sports and did gymnastics as a kid. I may not be able to do backflips on the floor, but on water it is very different; it is easy. Is it challenging to learn and can flyboarding be considered as a safe sport? It is very easy. Even in the first try, you will be able to fly. We have been doing this for 2 years. Every single person who has come to us managed to fly in the first try. It is all about knowing how to balance. The equipment feels light under your feet because the pressure is upwards. You will not go above 6 feet until you get the hang of it and after that you can control the height according to your comfort level. As for safety, I would say this is a safe sport. Trying anything for the first time is hard, but once you get the hang of it, you will be OK. It depends on the way you move. I have never been injured. If you’re unfit, sure, you will be prone to injuries. At Liquid Watersports, we give top priority to safety. 2 people will always be on standby. And normally there will be an additional Jet Ski also on standby. What was your first flyboarding experience like? For some reason, my first attempt wasn’t successful. I couldn’t lift up and 20 minute later the Jet Ski was flooded with water. But the first time I lifted my feet off the water and flew, it felt as though I had wings. It was an amazing feeling. 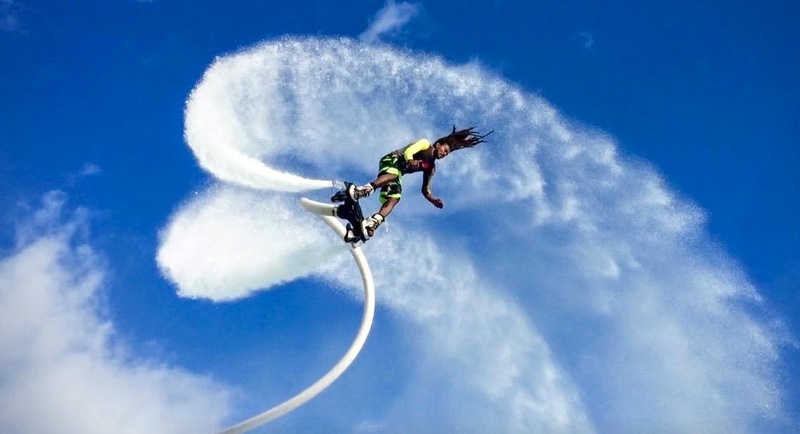 You introduced flyboarding to Maldives and subsequently became the face of this extreme sport in the country. How has the sport gained popularity over the past 2 years? flyboarding has become very popular. We have not been able to spread the word as much as we want to, but even then, it has become very popular. We have taught over 200 people. You have tried flyboarding in the US and Malaysia. 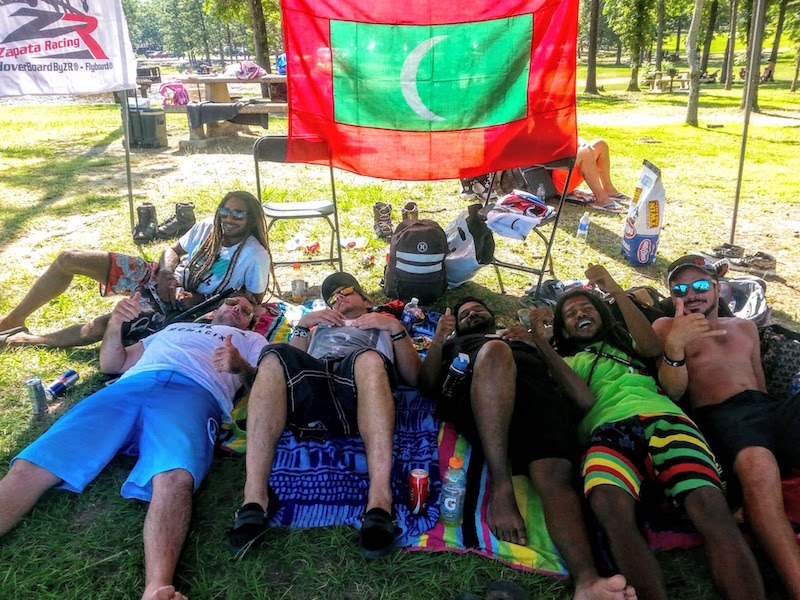 How different were those experiences from your experience in Maldives? I can’t even compare. 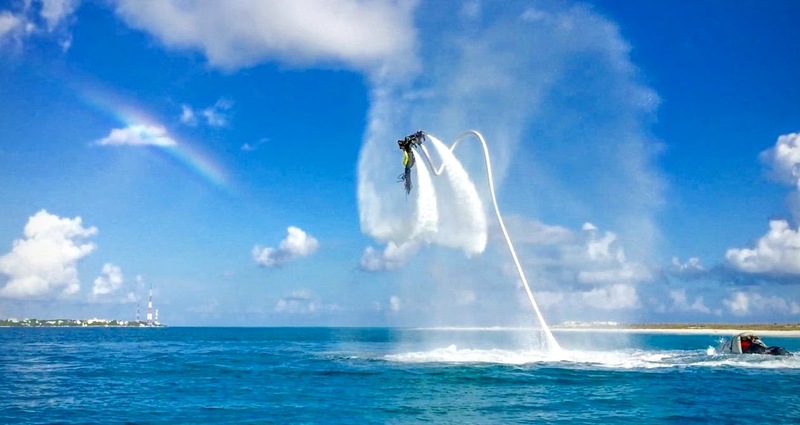 I would say Maldives is the best place for flyboarding. The weather is almost always perfect and the water is so beautiful. 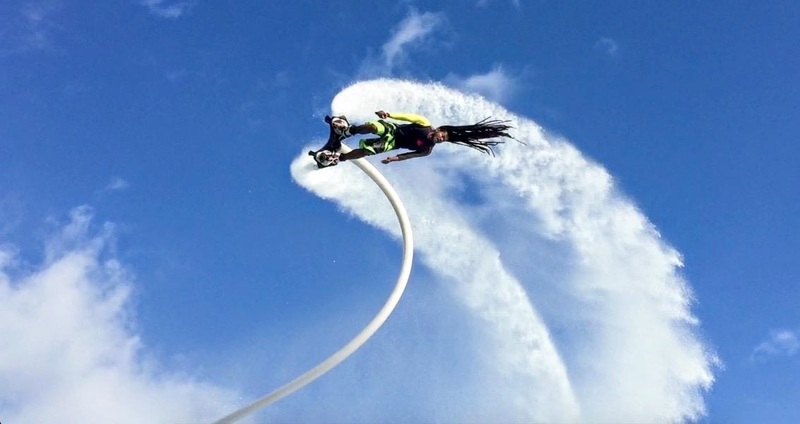 Maldives had a chance to witness your impressive flyboarding skills during the 50th Independence Day celebrations. Those performances must have been very special. What was the most memorable flyboarding experience? I really enjoyed the Independence Day performances. But as far as my best experience goes, North American Flyboard Championship was the most memorable one. That was a fantastic experience, through which I learned a lot. It was great meeting some of the best in the world and seeing them perform. How does it feel to be selected to compete in the X Dubai Flyboard World Cup? It is a dream come true. I have always wanted to be the first Maldivian to compete at an international level in some sport. I have worked hard for this and I’m really happy that the hard work paid off. I will do my best at the World Cup and my aim is to reach top 10. Franky Zapata. He is the inventor of this great sport and is the best at it. I love extreme sports, so my next target is to learn to fly a jet powered wing, to become a jetman. Hopefully I will achieve that target within the next five years. With few days remaining for the X Dubai Flyboard World Cup, we wish him all the very best.